GoDaddy auto renew is enabled by default for most new GoDaddy products, including domain names, hosting accounts, website builders, etc. 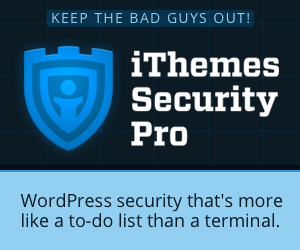 If you have long-term plans for your website, this serves you well. But we don’t always know what we want a year in advance, and things can always change. Not to mention the fact that GoDaddy’s auto renew will charge you the full price of the product, and not give you the chance to enter a coupon or discount code. It’s easy to turn off… once you know where to look. 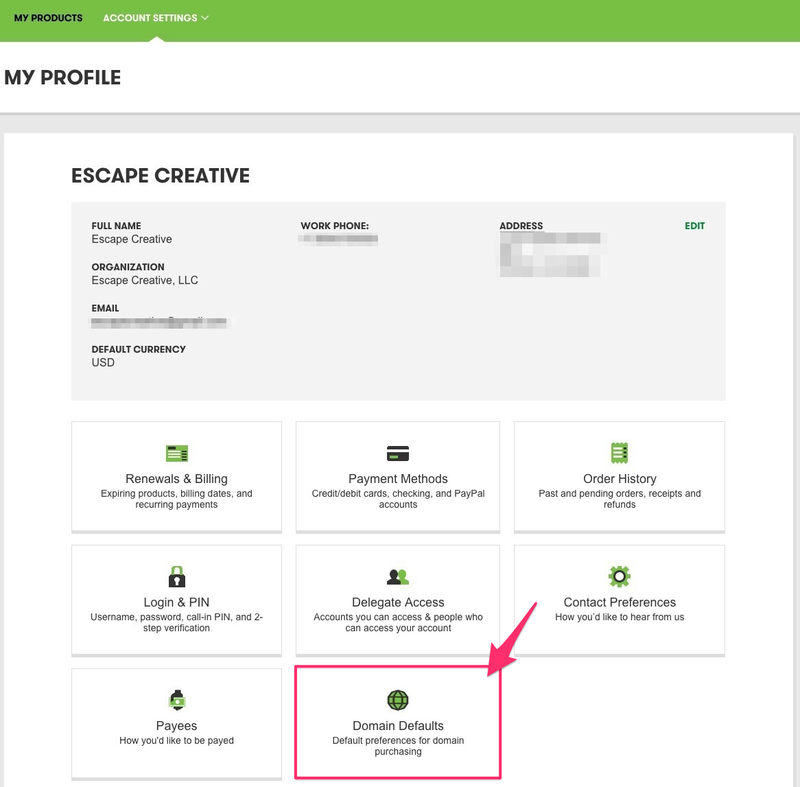 I’ll show you how to turn off GoDaddy’s auto renew for several different products (it’s a little different for each). 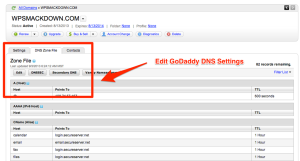 I’ll even show you how to change the default setting for all future domain purchases. Make sure “Auto-Renew” is checked. 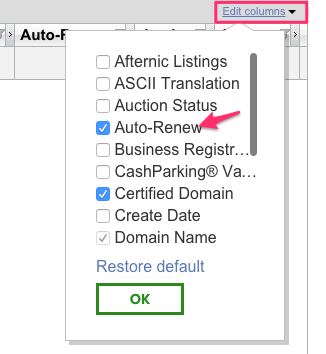 Click OK.
Look for “Auto Renew.” Choose the radio button for On or Off. 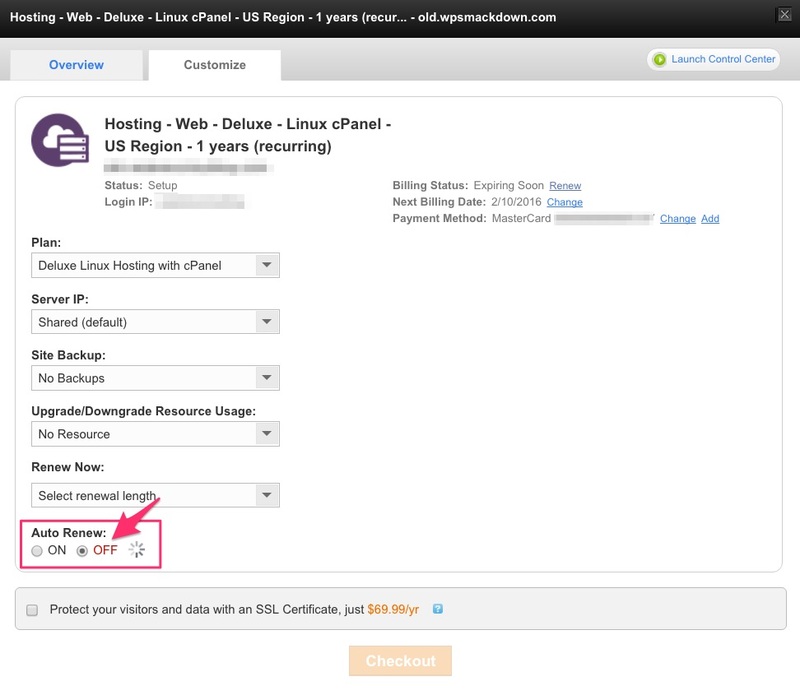 You can also select multiple domains and change their auto renew in bulk. 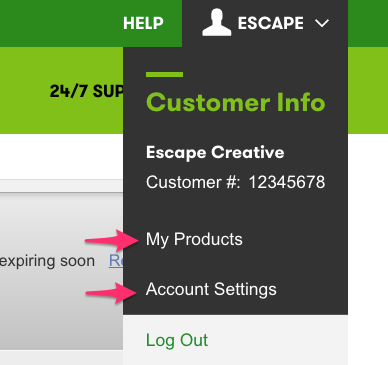 It would get rather tedious to change the auto renew settings for every product that you bought. 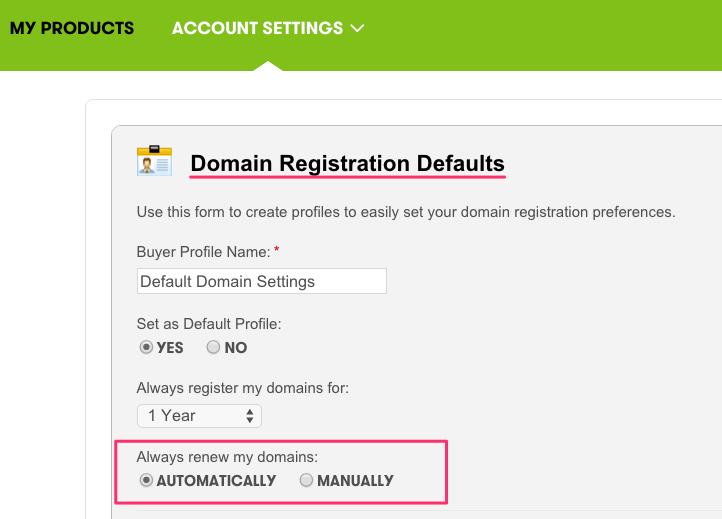 Thankfully, GoDaddy allows you to set a default auto renew setting for domain names. All future domain purchases will now adhere to your updated domain default settings. 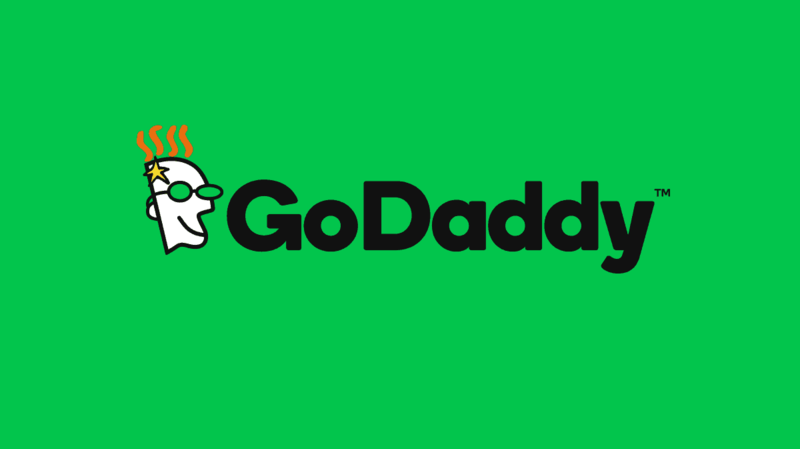 GoDaddy auto renew for hosting is a bit different, but it’s actually even easier. 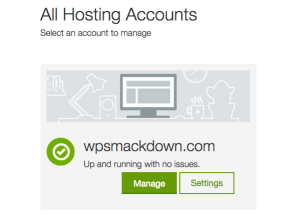 NOTE: The steps are the same for GoDaddy WordPress hosting, Office 365 email products, and most other GoDaddy products. Your changes are automatically saved. No need to click any Save button. 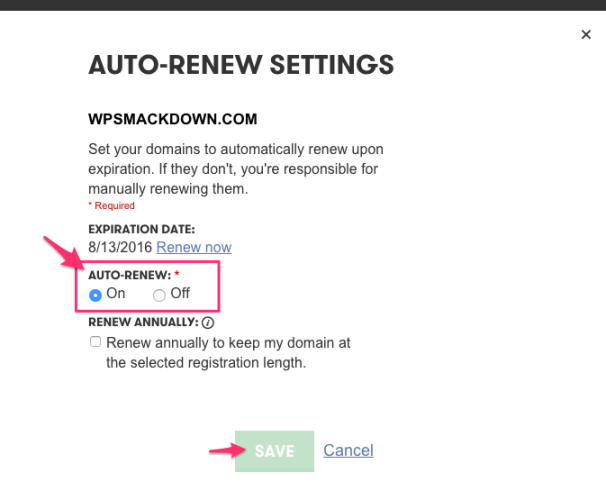 I hope you enjoyed this guide to turning on/off GoDaddy auto renew for all of your products. Let me know if you get stuck anywhere. I’m happy to help.